This edition of MRM’s News Bites features ezCater and Monkey Group, McDonald's and Dynamic Yield, Thanx and Olo, DoorDash, USFoods, Ritual and Gregorys Coffee, Wi5, Red Robin and Impossible Foods, SOCi, Cognizant and Jack in the Box and Flores Financial and Plate IQ. ezCater® acquired Monkey Group, an enterprise software, training, and insights company, and developers of MONKEY™, the cloud platform for takeout, delivery, and catering. The acquisition marries the world’s largest online catering marketplace with the world’s most popular catering management software. Erle Dardick, Founder and CEO of Monkey Group, added, “Our customers tell us they want more orders, and ezCater’s marketplace drives growth for so many restaurants. We’re thrilled to join forces to help food service operators thrive even more." Brands who use both platforms, including Einstein Bros. Bagels, McAlister’s Deli, Moe’s Southwest Grill, and Schlotzsky's, will benefit from new POS integrations and streamlined data flow between the two companies’ systems. 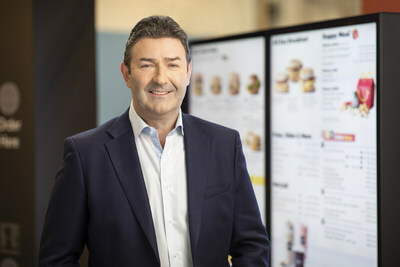 McDonald's will acquire Dynamic Yield, a leader in personalization and decision logic technology and utilize this decision technology to provide an even more personalized customer experience by varying outdoor digital Drive Thru menu displays to show food based on time of day, weather, current restaurant traffic and trending menu items. The decision technology can also instantly suggest and display additional items to a customer's order based on their current selections. However, Poulos notes that this might be a necessary part of business growth in this day and age. He concluded, “As an industry leader, McDonald’s has a history of pushing fast food forward, and over the last 10 years, investors have been rewarded handsomely in the process.” Poulos pointed out that the McDonald’s stock has grown over 250 percent since 2009, illustrating the power of McDonald’s in an increasingly health-conscious economy. Thanx has integrated with Olo, an online food ordering solution for the restaurant industry. This new integration will allow restaurants to track and better understand customer spending habits whether it happens in-store or through digital or mobile ordering, and provide these restaurants with a detailed analysis of customer purchasing behavior, so they can in turn, develop more personalized, actionable and measurable customer engagement. “As consumers increasingly embrace digital ordering for pickup and delivery, restaurants have struggled to develop a clear view into customer purchase behavior across these new channels. The result is the continuation of generic marketing tactics that simply don’t work,” said Zach Goldstein, Thanx founder and CEO. "The Thanx and Olo integration is the only loyalty, marketing and ordering combination where customers can earn rewards on in-app purchases and in-store with no extra steps. This means restaurants have an accurate 360-degree view of customers no matter how they order. And better data means more personalized, efficient marketing and greater ROI." DoorDash launched Kitchens Without Borders, a social impact initiative dedicated to supporting immigrant and refugee food business entrepreneurs. Kitchens Without Borders spotlights the human stories behind these immigrant- and refugee-owned restaurants to foster a deeper connection between customers and the people making the food we eat every day. The initiative aims to provide visibility to historically under-resourced food entrepreneurs while cultivating a more sustainable and inclusive food economy. As part of the social impact initiative, DoorDash has launched a dedicated microsite, kitchenswithoutborders.com, featuring 10 San Francisco Bay Area food businesses. One-minute videos highlight each of the selected entrepreneurs' restaurant, cuisine, and background. Restaurants include Besharam, Z Zoul Cafe, Onigilly, Los Cilantros, Sabores Del Sur, West Park Farm & Sea, Little Green Cyclo, top photo, Afghan Village, D'Maize, and Sweet Lime Thai Cuisine. By highlighting these merchants' stories, DoorDash is providing customers with meaningful information when choosing their next meal. "My mom ran a Chinese restaurant with the purpose of creating a better life and fulfilling her dream of becoming a doctor," said Tony Xu, DoorDash's CEO and Co-founder. "DoorDash was founded for people like my mom—people who came here with a dream to make it on their own. With Kitchens Without Borders, we're continuing that mission to connect people and possibility." Participating restaurants will receive several promotional opportunities through DoorDash to help elevate their business to customers. These opportunities include DoorDash-funded marketing support, $0 delivery fees for customers for up to six weeks, and prime in-app placement on the DoorDash platform to boost customer discovery and selection. Since its founding in 2013, DoorDash has created one of the country's largest last-mile logistics solutions, fueling the growth of immigrant-owned small businesses. Kitchens Without Borders continues the company's mission to deliver good by creating more opportunities for people of all backgrounds to work and thrive in their local communities. US Foods Holding Corp. opened a newly renovated Fife, Washington distribution facility. The project began in early 2016 and has nearly doubled the size of the facility from 127,000 square feet to 240,000 square feet. 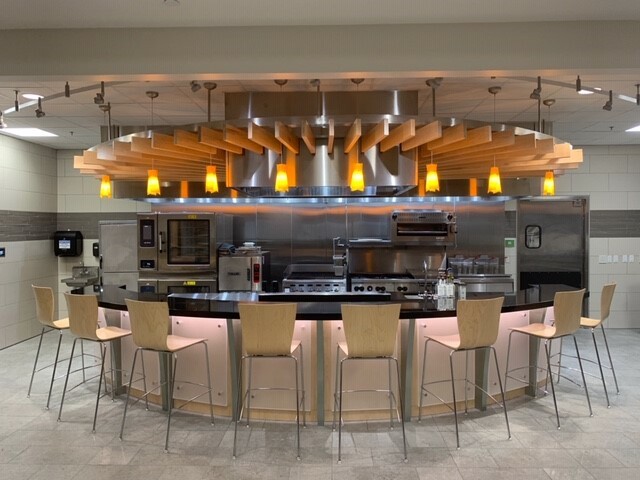 The expanded footprint supports the company’s ongoing efforts to offer additional products and services to restaurants and foodservice operators across the region. 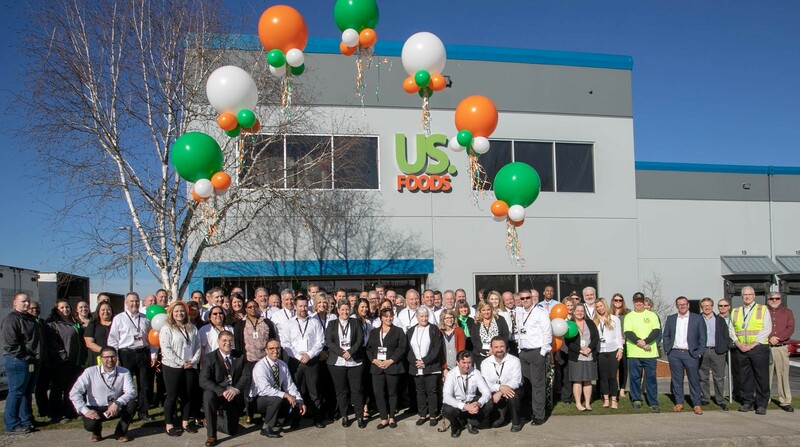 To celebrate the official opening of the new space, US Foods hosted a ribbon cutting ceremony with company leaders, government officials, local US Foods customers and other members of the community earlier today. US Foods has operated out of the Fife, Washington facility since 1998. US Foods also announced the newest US Foods Scholars scholarship recipients. Seven students from four cities across the U.S. were selected to receive up to $20,000 each to support their continued culinary education, in addition to hands-on training opportunities with US Foods culinary professionals. The US Foods Scholars program was developed to inspire students to reach their full potential and contribute a meaningful solution to the talent shortage facing the restaurant industry. New York-based coffee roaster and retailer, Gregorys Coffee is partnering with mobile pickup app, Ritual to offer customers a convenient and cost-effective solution to discover, order and pick up coffee and food orders. "We often hear from coffee establishments that their customers want the convenience of delivery, but have found that delivery fees and product quality have been a major barrier," said Ray Reddy, Co-Founder and CEO of Ritual. "Our Piggyback feature has been the perfect solution to this problem. We are productizing the coffee run by offering a service with no delivery fees where the product gets to consumers in minutes while staying fresh." Ritual provides restaurants with turnkey mobile ordering technology, giving customers a convenient solution to discover, order and pick up their coffee and lunch. Over 100,000 teams globally already leverage Ritual’s social group ordering feature, ‘Piggyback,’ which connects workplace teams and allows them to collaborate on coffee and food orders creating a peer-to-peer delivery network. In return, restaurants like Gregorys are able to leverage existing customers to effectively act as delivery persons for these orders, removing delivery costs for customers and the business, all while increasing order size by up to 4x. Additionally, Ritual’s ‘Auto Place’ feature uses location-based data to automatically place an order once customers are close enough to the restaurant. With traditional delivery, you may receive your coffee or latte twenty minutes after it was made, significantly degrading the quality. With ‘Auto Place,’ your coffee or meal is made as close to arrival as possible, ensuring the quality of the item is not jeopardized. “At Gregorys Coffee, we establish and cultivate communities of people who see coffee differently by providing them with unforgettable experiences that are uniquely our own. We are constantly looking for ways to provide convenience to our customers without compromising on quality,” said Greg Zamfotis, CEO of Gregorys Coffee. “Ritual's Piggyback feature has provided a way for our guests to get that same unforgettable experience right at their desk." To kick off the partnership, customers can enjoy popular coffees from Gregorys Coffee for just $1 every day until April 30th when you use Ritual's Piggyback feature. Prask Sutton, Wi5’s Founder & CEO said: “This investment allows us to provide the very best solutions to address our markets’ demands. I’m thrilled to receive the vote of confidence this financial backing represents. The company is entering yet another exciting stage of its development and the funds raised will accelerate Wi5’s growth and support our ambitious geographic and vertical expansion strategies. We are recruiting best-in-class talent from across the world, strengthening our IP and patent portfolio, whilst continuing to ensure our work has maximum impact by building technology that really matters." Red Robin Gourmet Burgers and Brews launched its unique interpretation of the Impossible™ Burger at all 570 restaurants in the United States. Red Robin’s Impossible™ Cheeseburger features a delicious, fire-grilled, plant-based Impossible patty, topped with Red Robin’s pickle relish, red onions, pickles, lettuce, tomatoes, mayo and choice of cheese. It’s served with a side of Red Robin’s famous Bottomless Steak Fries®. Guests may alter toppings as desired or customize any Red Robin burger by substituting out an Impossible Burger for a traditional beef burger. The launch of the Impossible Cheeseburger makes Red Robin the largest single customer of Impossible Foods, the California food-tech startup that makes award-winning meat from plants. “Red Robin takes meat seriously — and it’s a major endorsement that the Impossible Cheeseburger is now part of Red Robin’s justifiably famous menu,” said Lisa Will, Impossible Foods’ Vice President of Sales. Red Robin added the Impossible Cheeseburger to the menu after the restaurant chain’s culinary team tasted Impossible Burger 2.0, the first significant product upgrade since the launch of the original Impossible Burger in 2016. SOCi debuted SOCi Reputation Insights. Comprised of sentiment and competitive monitoring, SOCi Reputation Insights is designed to help multi-location marketers identify and manage emerging sentiment and competitive trends from online reviews and analyze shifts in online reputation over time. Created with multi-location brands in mind, SOCi Reputation Insights highlights keywords and specific aspects of the business that are used in a positive, negative, or neutral manner in a given timeframe. These insights can then be further analyzed against local and national competitors, helping marketers quickly identify areas of differentiation. Using Google's Natural Language Processing to analyze word sentiment within the context of a sentence, brands can identify the root cause of consumer dissatisfaction and address issues immediately or, even better, before a bad review is posted. Cognizant is developing a new digital strategy for Jack in the Box® restaurants, one of the largest hamburger chains in the U.S. The initiative includes a mobile app that enhances the brand’s “on the go” experience by enabling customers to view menus, exclusive promotions, everyday value deals, find the nearest location, place orders in advance, and pay using their mobile phones. The app is now available for use with all 2,200+ Jack in the Box locations in the U.S.
San Diego-based Jack in the Box partnered with Cognizant digital experts to understand customer requirements, workflows and to create a scalable digital platform. As part of its engagement, Cognizant surveyed customers about their restaurant experiences and preference. Cognizant worked with industry experts to identify operational efficiencies and best practices. The resulting app, the chain’s first, provides one-tap functionality for ordering and payment with details seamlessly flowing to kitchen and customer relationship management tools for improved business insight and decision making. San Diego-based Flores Financial supports more than 300 restaurant clients alone with services including bookkeeping, payroll, budgeting, and customized reporting and consulting. In order to meet compliance and audit requirements, Flores on behalf of its clients would routinely use third-party courier services to collect hardcopy invoices and other financial records from unit locations, which would then be stored on-site at their office. In addition to the manual and time-consuming nature of this process, such file-storage practices also required costly physical office space. Plate IQ, a San Francisco-based technology company that helps restaurants improve and automate their Accounts Payable (AP) processes, helped Flores move to a fully automated, cloud-based AP solution. Using Plate IQ, Flores is able to digitally capture, transmit and archive many of the records that were previously kept only in hardcopy, saving Flores time and expense while improving the firm’s ability to deliver value to its clients. As a result of its deployment, Flores Financial was able to reduce its use of paper by nearly 5,000 pounds annually, increase physical office space for employees, and cut its use of expensive third-party courier services. Perhaps most significantly, Plate IQ has reduced Flores’ need for entry-level FTE support, improving margins for the 90-person firm.